July | 2016 | Home: Free Sociology! Several years ago I got a call out of the blue from Sheila Woody, a UBC Psychology professor, asking if I might be interested in working together on some hoarding research. Fortunately this came about less due to an inspection of my office and more because she’d stumbled across my research profile and discovered I had an interest in housing and the making of home. This is one of those collaborations where, even though I found real potential in the research that overlapped with my own interests in intriguing ways, I was drawn to the work in no small part by how much I enjoyed working with the colleague involved. Sheila and her team (now also including Christiana Bratiotis) are a lot of fun, and I’m delighted to report that some of our first findings are now out and have just been covered by both the Vancouver Sun and the CBC (where they also have nice pictures of Sheila and some team members). How much of too much? What inspections data say about residential clutter as a housing problem. How big of a housing problem is residential clutter? In this paper, we draw upon inspections data in Vancouver to both estimate the size of the problem and detail how it is observed and constituted through municipal regulatory processes. We contrast the inspections approach to residential clutter with the mental health approach, which focuses on hoarding disorder. Inspections data indicate the problem of residential clutter is potentially larger than might be expected by the epidemiology of hoarding disorder, and also point toward the many risks associated with clutter. Using our best estimate, approximately seven per cent of low-income, dense, single-room occupancy (SRO) housing units inspected were identified by inspectors as problematically cluttered, indicating a sizable problem. Larger buildings and those managed as social housing were more likely than other buildings to have many units identified as problematically cluttered. Strikingly, for given buildings, estimates of problematic clutter tended to remain relatively stable across time, inspector, and inspection method. The big takeaway for me is that residential clutter is a real housing problem. That seven percent covers a lot of rooms, creating big headaches for housing managers and neighbors as well as the residents of cluttered rooms themselves. Indeed, in some buildings we studied, up to a third of rooms were problematically cluttered with possessions. It’s not clear that all of this is the result of hoarding as a mental health issue, but it fits with broader evidence of the epidemiology of hoarding. It also squares with the informal feedback I get when I touch base with many people working in the social housing sector in Vancouver. Even without prompting, they regularly point to hoarding as a big obstacle they face in keeping people housed and healthy. So I’m really happy that we’ve put this on the academic radar, not just as a mental health issue, but also as a broader housing issue. I’m also happy I get to keep working with Sheila and the team toward better understanding what’s going on. Incidentally, Vancouver’s Hoarding Action Response Team (HART) is broadly recognized as a leading collaborative resource enabled to coordinate responses for those struggling with hoarding. So… slow news month, eh? At least for the moment I’m going to steer clear of writing about terrorist attacks, police shootings, shootings targeting police, and the rise of Donald Drumpf. Suffice it to say I think these are all terrible things. 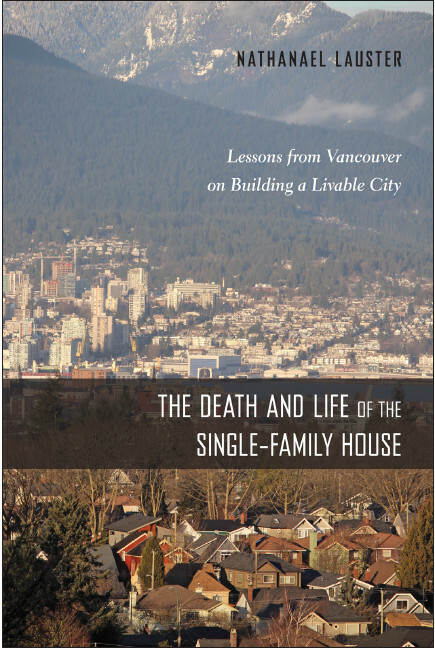 What about recent attention to housing issues in Vancouver? As it happens, there’s been a lot of news there too. The BC Liberals* announced a surprise 15% property transfer tax bump for foreign buyers of residential properties, here defined as non-citizen, non-permanent residents. That’s a big deal, amounting to an extra $90,000 on a $600,000 condo, or an extra $300,000 on a $2 million house (and if those prices seem ridiculously high to you, welcome to Vancouver!) This right before they rolled out new data suggesting that about one in ten residential property purchases in Metro Vancouver are made by foreign buyers. The Liberals were responding to a potentially powerful political issue and a lot of pressure regarding specific policy alternatives from academics, think-tanks, and their political rivals in the NDP. I’ve liked a lot of these policies, but I’ve questioned the xenophobia that often characterizes the sales pitch. So what to make of the BC Liberal response? Well, they’ve gone their own way – never accept someone else’s proposal, I suppose – and in the process they’ve doubled down on the xenophobia, targeting foreigners directly (rather than, as some critics note, foreign money, though usually by way of suggesting they aren’t going to get all the foreign money). They’ve also gone for an immediate big bang in focusing on the property transfer tax, and imposing the change on August 3rd without exempting deals in process. So what kind of disruptions are we in for? For the market as a whole, it’s hard to say. I think Tom Davidoff and David Ley are right, that this will cool down the market. Especially in conjunction with other moves to tighten control over real estate practices (for both realtors and banks) and enable municipalities to levy taxes on vacant homes as businesses. Will the market crash hard? That’s not clear. Nor is it clear just how easy it will be for foreign investors to get around regulations. For investors right here at home, of course, it’s pretty easy. But can they rely upon continuing to attract funds and buyers from elsewhere to pump up properties given the new regulatory landscape? I tend to doubt it. I think we’re in for a cooling market, which is probably a good thing for stability, but could potentially turn very cold very quickly. What kind of disruptions are others in for? For immigrants in the middle of moving to Vancouver and closing a purchase, I’m actually pretty sympathetic. This is a big hit with little warning. It’s going to hurt a lot of immigrants who don’t yet have their permanent residency worked out. It may also hurt international recruiting for many positions, including with my own employer (Full Disclosure: I worked for a couple of years at UBC on a work permit before establishing permanent residency – and I can attest that this isn’t an uncommon situation). This is another trade-off in going with the property transfer tax instead of the property tax offset by income tax payments. It doesn’t matter if foreigners earn their money and pay taxes locally under the BC Liberals new policy, they’re still considered foreign with respect to penalizing their purchase of housing. It’s also worth noting that many immigrants work in real estate, as realtors, investors, and through developing their own “sweat equity” as upgraders and flippers, and this is in part because they encounter real difficulties in other professions. They’re often invited as skilled laborers without being given a chance to demonstrate their skill. Real estate has been one sector where immigrants could potentially thrive because of their transnational connections rather than in spite of them. It’s probably a good thing to shift more people away from work in the real estate sector in Vancouver, but it will definitely be disruptive, and often to people who haven’t yet made much (or any) money. To be clear, it may also be a good thing in the long run to impose a tax on residential purchases by those who have not yet made a commitment to Canada as a permanent resident or citizen. I can see good reasons for that. But in the short term, this is also a disruptive move, and too in-line with a broader turn toward xenophobia for my comfort. Will this make housing more affordable? Maybe. But it depends upon the type of housing we’re talking about. By the standard of rental affordability, Vancouver isn’t doing great, but in comparative perspective, it’s also not doing disastrously. Hard to say what effects this will have on rentals. By the standard of being able to afford a decent condo, prices will probably come down a bit, which hits current owners, but helps new buyers – a group sorely in need of consolation. By the standards of being able to afford a single-family house on a middle-class income, I feel pretty comfortable predicting that we’re never going to be there again. Knock a million dollars off the price of most single-family houses on my side of town and they’re still going to be well out of reach. That’s not an immigrant question, that’s a land use question. From 1954 to 2014, Te Urewera was an 821-square-mile national park on the North Island, but when the Te Urewera Act took effect, the government gave up formal ownership, and the land became a legal entity with “all the rights, powers, duties and liabilities of a legal person,” as the statute puts it. This is one of those cases where I know something important and interesting has occurred, but I’m not yet able to put my finger on why and how it matters beyond the symbolic victory. Of course, corporations have also been granted many of the rights of legal personhood, with broad-reaching implications in the US, and it seems somewhat more constrained and careful implications in Canada. We may a similar flourishing of new legal arguments in New Zealand – possibly extending to Canada. Could this legal approach spread beyond New Zealand? Mr. Finlayson said he had talked the idea over with Canada’s new attorney general, Jody Wilson-Raybould. Another interesting implication is how we understand, in a more general sense, what legal recognition of personhood might do to attempts to commodify land. I like Karl Polanyi here, in his discussion of how both people and nature (as well as their productive capacities), became subject to fictional commodification (appearing as labour and land) in the broader unsettling history of attempts to govern by market. Do attempts to legally equate people and nature offer obstacles to processes of commodification? How do they bump up against the granting of personhood to corporations, often see as part and parcel of commodification? I don’t know yet. But to the extent I can keep my eye on it, I bet it will be fun to see how it plays out. In the meantime, it also makes me think of Fiddler’s Green, a character who is also a place, a place that decides to masquerade as a person, all reconciled as a dream in Neil Gaiman’s old Sandman series. So for that little reminiscence, I’m grateful.